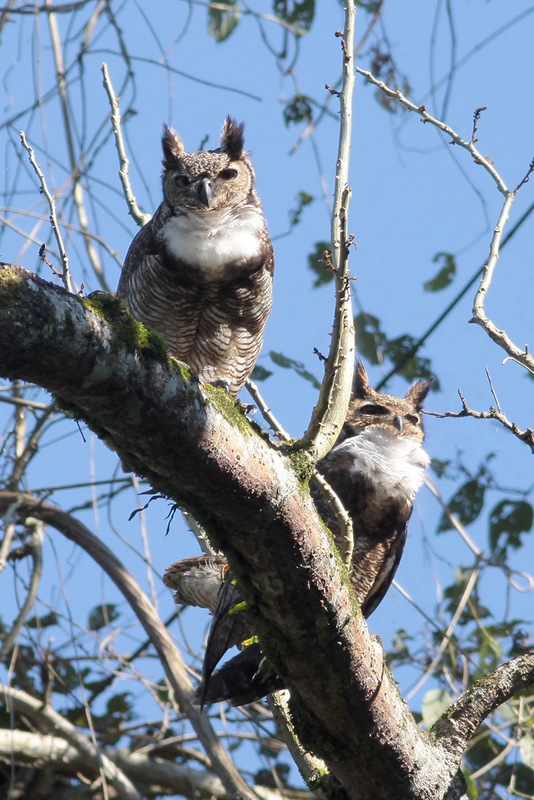 Home » News » Great Horned Owls found breeding at REGUA! 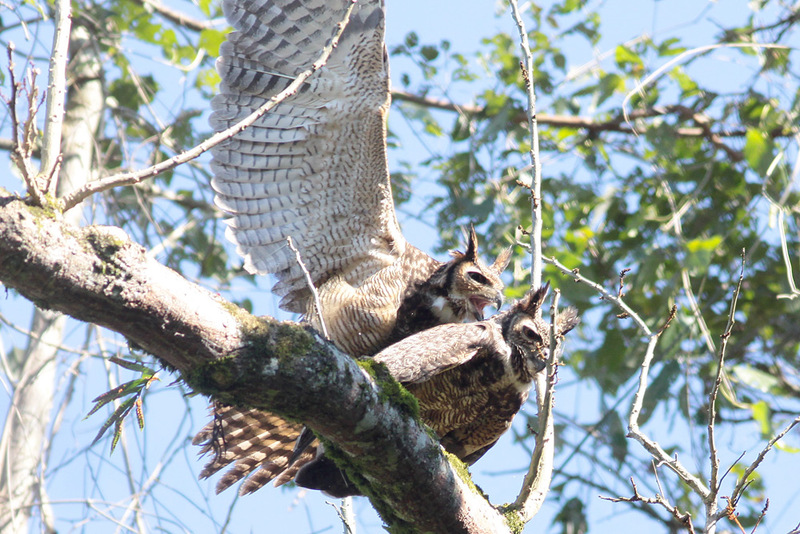 Great Horned Owls found breeding at REGUA! In October 2017 our bird guide Adilei Carvalho da Cunha heard a Great Horned Owl Bubo virginianus at the village of Matumbo, situated at the edge of REGUA. With a large range covering much of North, Central and South America, Great Horned Owl had long been predicted as a future addition to the REGUA bird list, but this was the first record for the reserve. Tantalizingly, there was no further sign until just a few days ago on the 18 August 2018 when Adilei finally saw a bird – the first sight record for REGUA. When he returned the next morning with his camera he found not one bird but a pair! Then while watching and photographing them he was amazed when they mated right in front of him! What an incredible record and yet another owl species for REGUA. 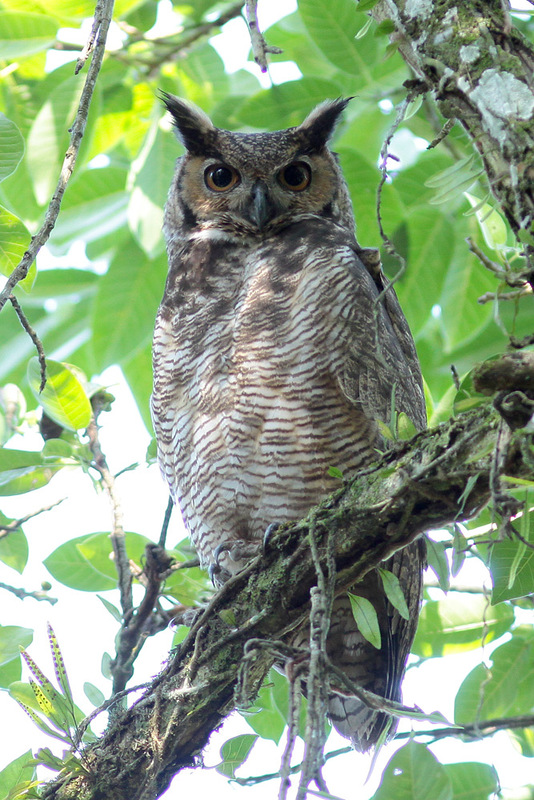 The addition of Great Horned Owl takes the REGUA bird list to an incredible 479 species! Well done Adilei for finding and documenting such a great record.